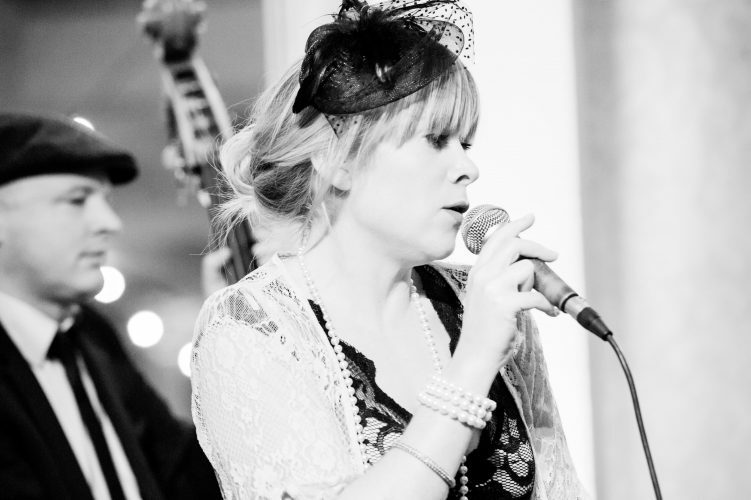 Spirit of Django are everything you need from a jazz outfit, whether you’re after instrumental music for a summer garden party or sultry vocals delivering all your favourite romantic numbers from the jazz greats. 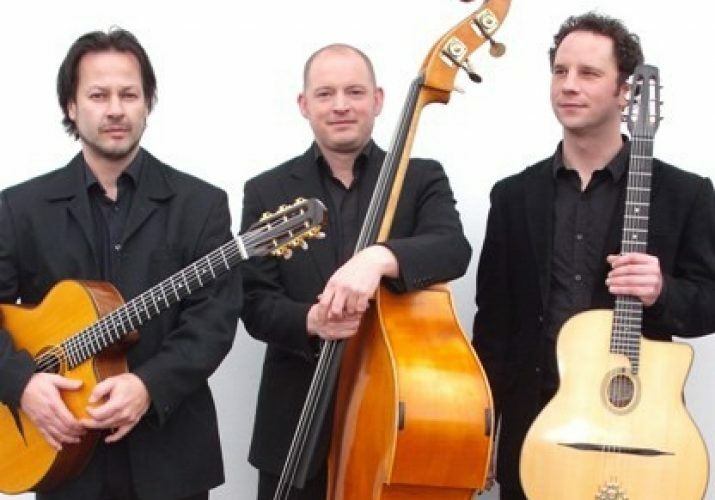 Spirit of Django have a huge repertoire to ensure you get just the right mix of songs from the swing and big band era, show tunes and bossa novas. 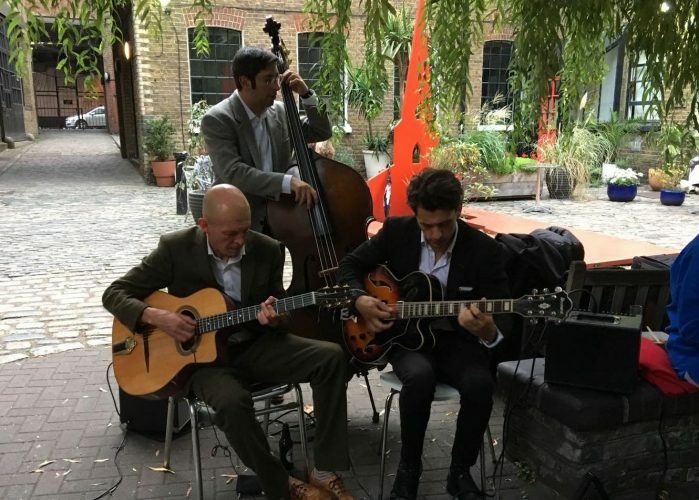 They cover all the jazz classics including Rhythmes Gitans and Django’s Tiger, as well as standards by legendary composers such as Gershwin, Ellington and Jobim in a gypsy jazz style. 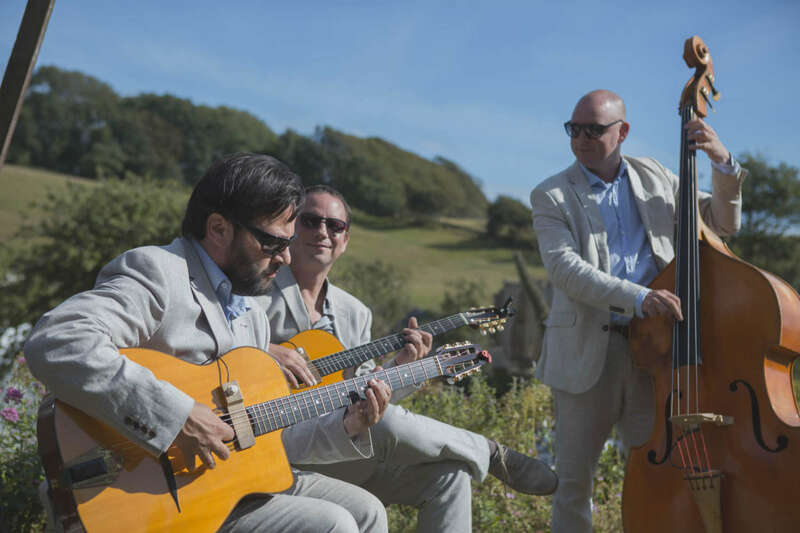 Consummate professionals and outstanding musicians, Spirit of Django are the champagne of elegant entertainment, and can be hired to provide cool, relaxed background music, or more lively, upbeat numbers for dancing. 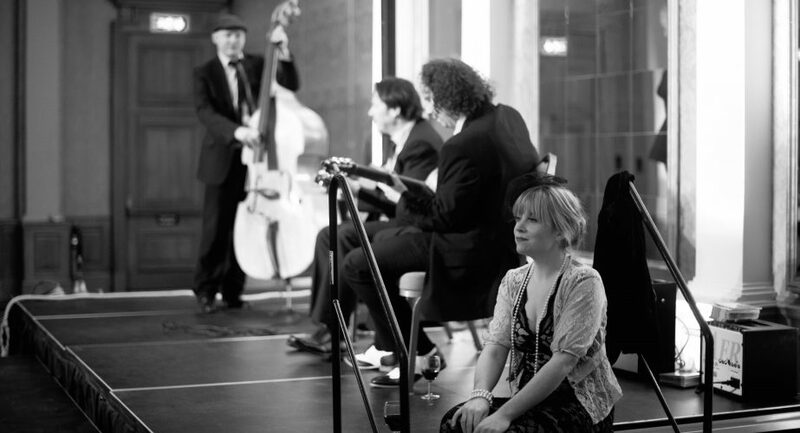 An ensemble of world-class musicians, they’ve years of professional experience, working throughout the UK and internationally. 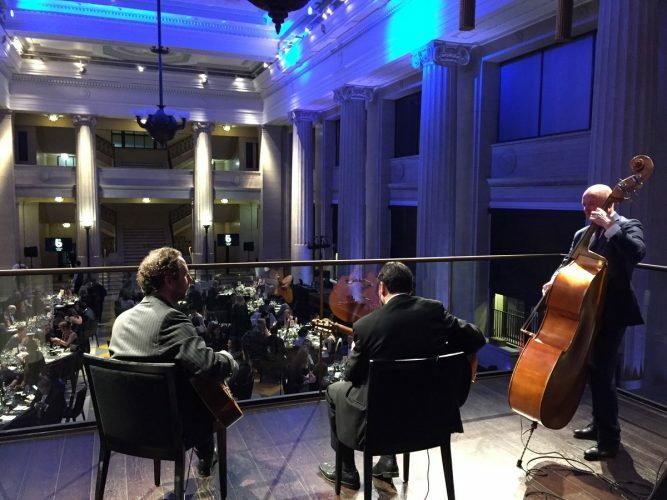 Spirit of Django boast an impressive client list of high profile organisations, events companies and celebrities. 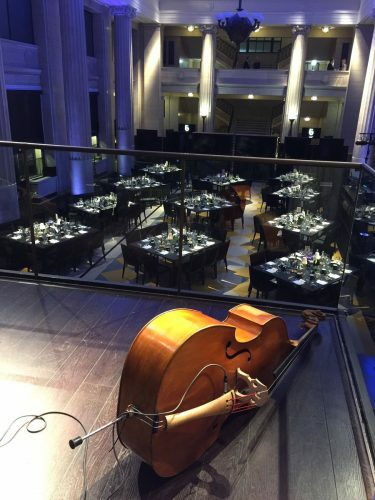 Previous clients include Paul Merton (Have I Got News For You), The Royal Bank of Scotland, Claridge’s Hotel, the National Theatre, and the V & A Museum. 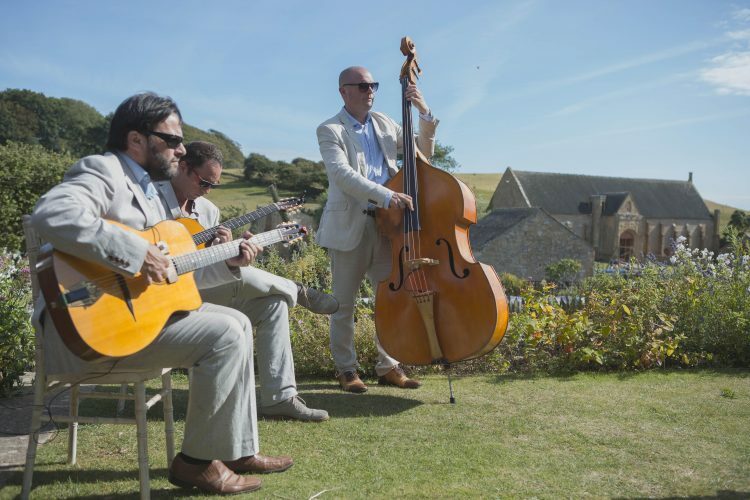 They’ve recently performed at wedding and party venues including the Soho Farmhouse, Banking Hall, Shilstone House and Limewood Hotel, so you can be confident they’ll add a touch of class, whatever your event.